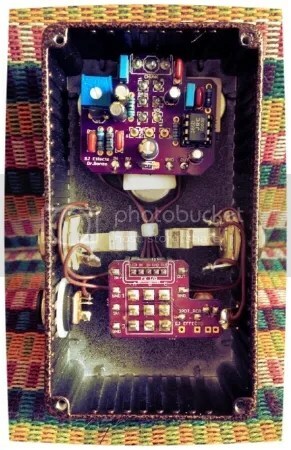 Here is another recent build; the Dr Gonzo distortion/overdrive. It’s called Dr Gonzo for no other reason than my love of Fear and Loathing in Las Vegas (by the brillian Hunter S.Thompson). 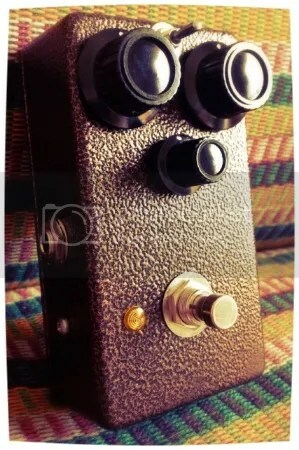 Its an LM386-Power Amp Overdrive/Distortion, and is great for Stoner Rock type tones (think QOTSA, Kyuss, Sleep etc.). The LM 386 gives a really great, thick, overdrive tone. Along with JFET overdrives (eg. Catalinbread DLS) it is one of my favourite overdrive/distortion circuit topologies.